Hello, Friday! I'm so glad you're here! My week started out a bit rough. I woke up on Monday morning feeling so nauseated. I actually pulled back my hair because I thought things were going to escalate. I had a brief moment of panic because it reminded me so much of the severe morning sickness I get when I'm pregnant. Thankfully, we both started feeling completely fine a few hours later, just in time to go to the funeral home to say our final goodbyes to my great uncle. The rest of our week was very busy with very little sleep (for me), but we made it to the weekend! I love Summer! It's my absolute favorite time of the year. I definitely need to move to a state where it's warm year round! I'm also loving this sweet boy...just look at that face!!! I shared this picture on Instagram yesterday along with a bit of my heart. I will never understand how human beings can be so hateful and judgemental. I have an addiction to the Target Dollar Spot! I can't go into Target without browsing through that section first. Even though school just let out a little over 2 weeks ago, all the Back to School stuff was in the Dollar Spot. I couldn't resist stocking up! 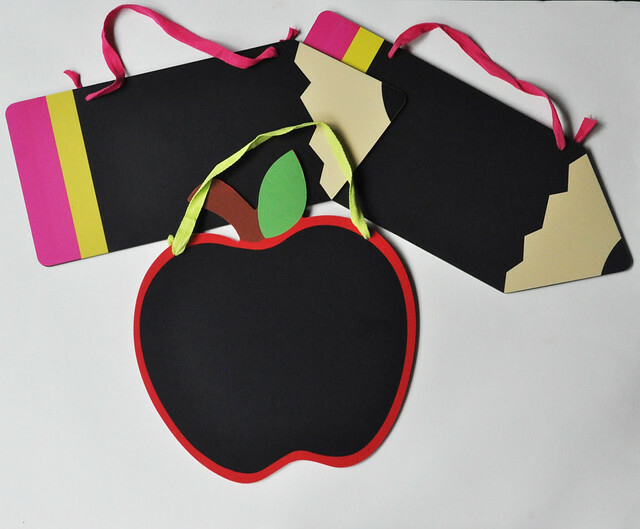 I found adorable Back To School Chalkboards for the kids to hold on the first day of school. I'm still on the hunt for one more! 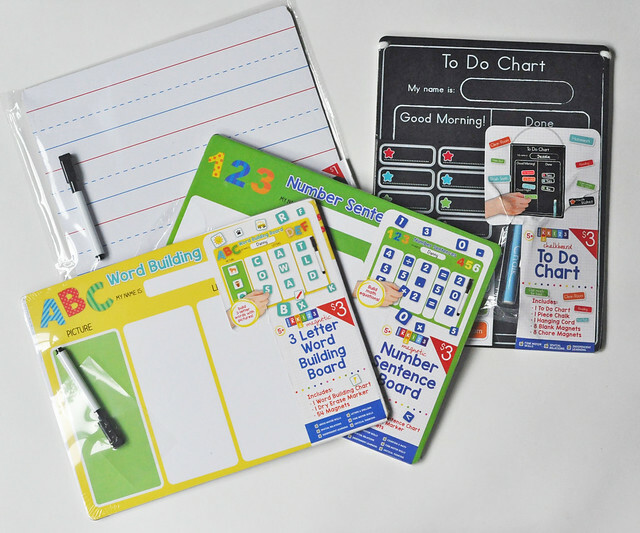 I bought some dry erase learning boards and a To Do Chart for Lily. 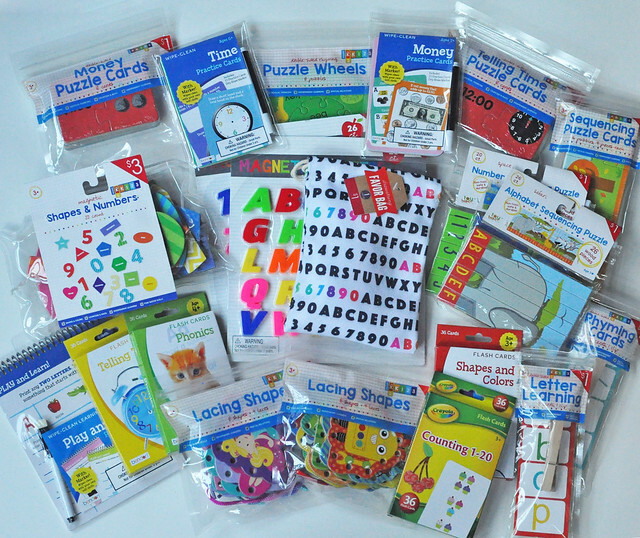 I also bought a bunch of learning items which I plan on using for another fun project! That post will be going up on the blog next week. My kids (and then some) are having so much fun with Camp Mom this Summer! Here's a sneak peek at something we did this week. 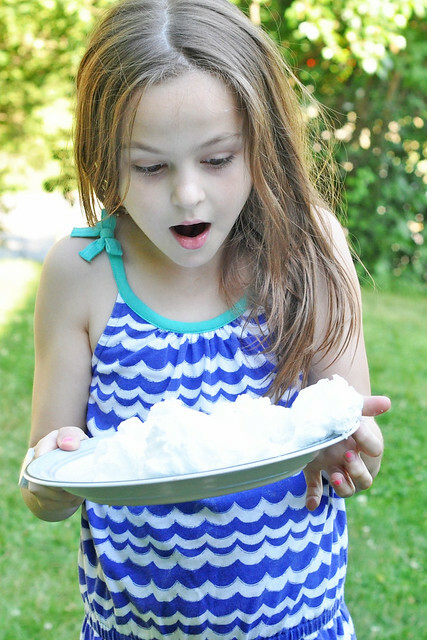 It involved turning bars of Ivory soap into "clouds." I'll be sharing this idea along with our full week of activities on Tuesday morning! Have you ever heard of Watchitude? Dylan and Lexie LOVE these slap watches! 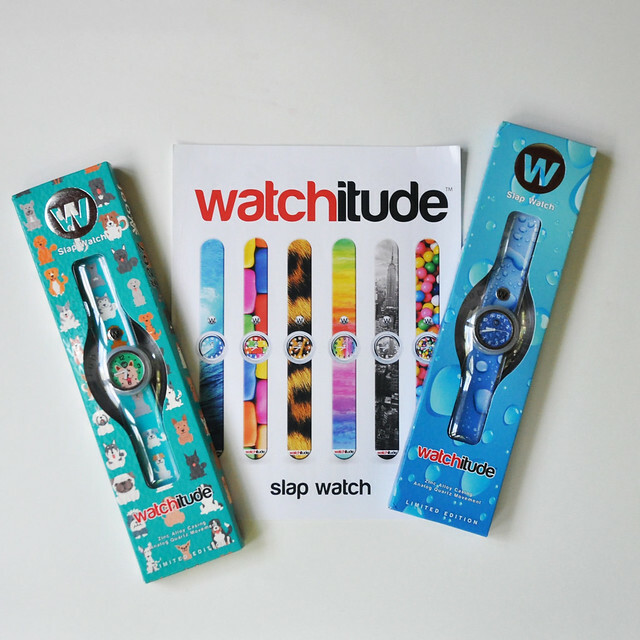 Watchitude generously sent over 2 slap watches for my big kids to wear (review coming soon). To say that they love them is an understatement! They both wear them 24/7, and now Lily is begging for one. Here's a little glimpse of their awesomeness! I recently won an incredible giveaway! 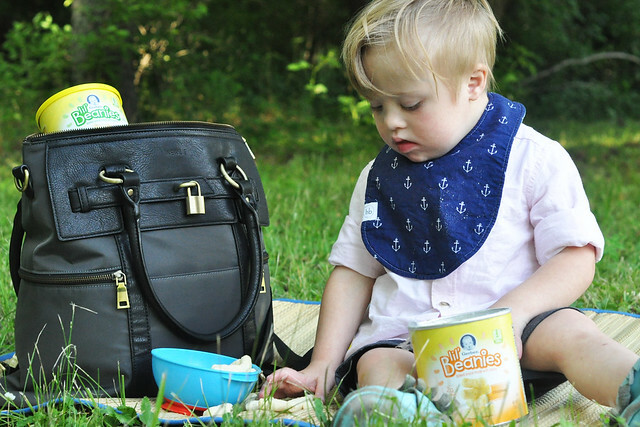 In addition to several other great prizes, I won a Newlie diaper bag. This bag has been on my wishlist for a few months and when I entered the giveaway, I never expected I would win. But I did, it's here and I LOVE it! I love the fact that my kids have such big hearts! Last night, Lexie ran into the house screaming that Dylan found a baby animal in our yard. When I walked out, he had the tiniest little critter cradled in his hands. It was soaking wet from the rain and shaking from cold and fear. I told Dylan to let it go, so he sat it back down in the yard. It just sat on the ground, shaking. It was so helpless. As a mom, this broke my heart. Lexie, who is my nurturer, insisted that we had to save it. I gently explained that it was very young and would probably die. I swear my kid is wise beyond her years. She stared up at me and asked, "Is it better for it to die warm, dry and safe or die cold, scared and alone?" I couldn't argue against that. So we currently have a little mouse living in a spare hamster cage. I told the kids not to get their hopes up, but wouldn't you know it? The tiny thing is warm and dry, and is eating and drinking! So that's the end of our crazy week! I hope you all have a wonderful weekend! What do you have planned? Goodness people are a bit ridiculous. I saw your IG post yesterday and just don't get others. I want to come to Camp Mom. I need to plan some things for my kiddos. Love all of the goodies from the Dollar Spot. We've bought a few of those items too. Lexie's sweet heart. Keep us posted on how that baby mouse is doing. I will never understand how people can be so cruel! I've reached the point where I just have the mindset that they are unhappy people who just aim to hurt others. The mouse is alive and doing well! Your week was busy! I need to go scoop up some of those goodies from your dollar spot haul. Thanks for sharing! I hope you found some great stuff at your Target! You rock "Camp Mom." Truly! Loved this. You found some great finds at Target! I hope they're at our local Target, too, because they would be perfect for my little preschoolers. Hope you have a great weekend. Thank you! She is wise beyond her years. 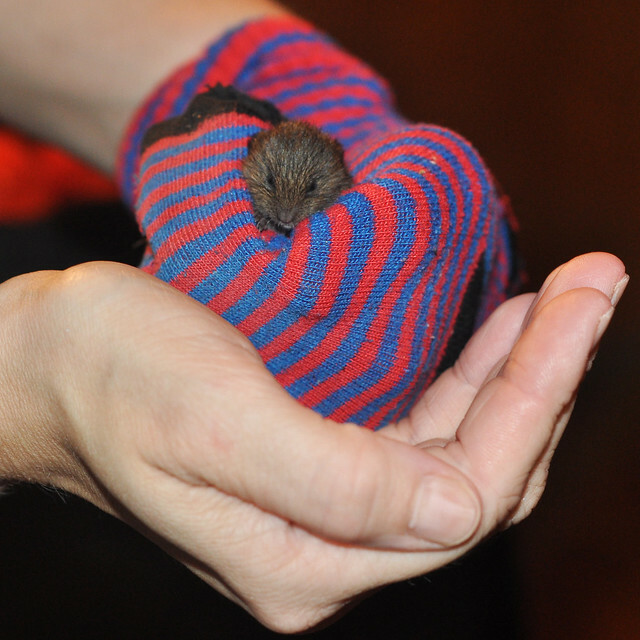 Just for the record, the mouse is still doing well! Mice make GREAT pets... They're way nicer than hamsters. Hopefully that little one will live and make a great new pet! It's still alive and doing well! I had pet mice when I was growing up and my husband and I owned a rat after we got married. Rodents don't scare me. As long as they aren't running through my house, I'm fine! Me too! I spend way too much money there! The mouse is still alive and well. I guess we have a new pet! Eeek that tiny little mouse! It is SO tiny! And still alive. Haha! I have to go to Target ASAP to see if they have those chalkboards! I still can't find another one! I hope you have better luck! Lexie is wise beyond her years. Some of the things she comes up with takes my breath away. You are rocking camp mom! Those watches are so awesome!! Have a great weekend! Thank you so much! I hope you had a great weekend! I love Summer...best time of year! I am loving your shirt in that first picture. So cute! Also Marissa would LOVE those slap watches too. I need to check those out pronto. Happy Sunday! Thank you! It was a TJ Maxx find! I am so glad to hear that your sickness wasn't too bad, for either of you actually! 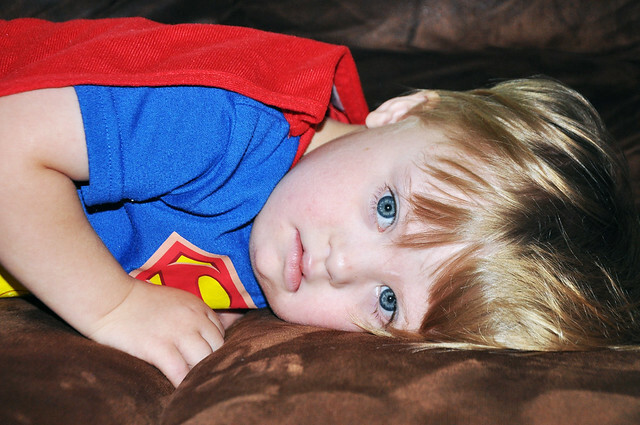 Plus I love all of your photos of your kids--beyond precious! 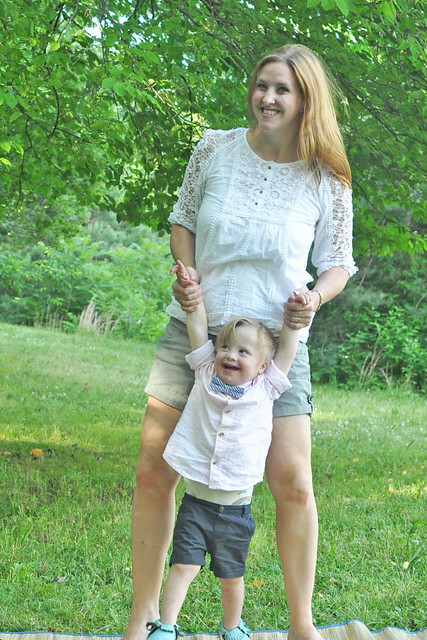 Camp Mom sounds like SO fun and I am amazed on how you balance it all! Please head on over to my blog at https://sheridanjohnson.com/2016/06/24/5-things-this-summer/ and check out my 5 things on Friday as well! Glad you are feeling better and your week turned around. I can't wait to see the Ivory soap trick. I love that photo of you and Liam. Thank you! It's on my Camp Mom post today! I'm just loving all the Camp Mom inspiration! So cute! And I totally avoided the Dollar Spot the last few trips but then wandered over there last week and I LOVED all their school/learning tools. I had to resist a bit - so many fun things! Hope you're having a great start to the week! Thank you, Katie! I hope you're doing well!